Sometimes things just don’t make sense. 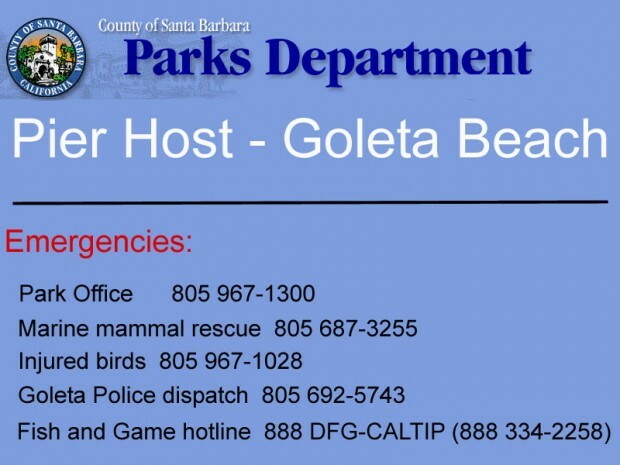 That was the reaction when word filtered out in September of 2011 that Boyd Grant, the venerable, Yoda-like “Pier Master” at the Goleta Pier had been asked to vacate his parking space at the County Park. The first reaction was an incredulous WHY? Why would the County do this? The second question asked was if his departure, from what in essence was his home, would be permanent and if it meant the end of the Angler Center? A better question was if this was the end of a dream, a dream that had been over a decade in the making. 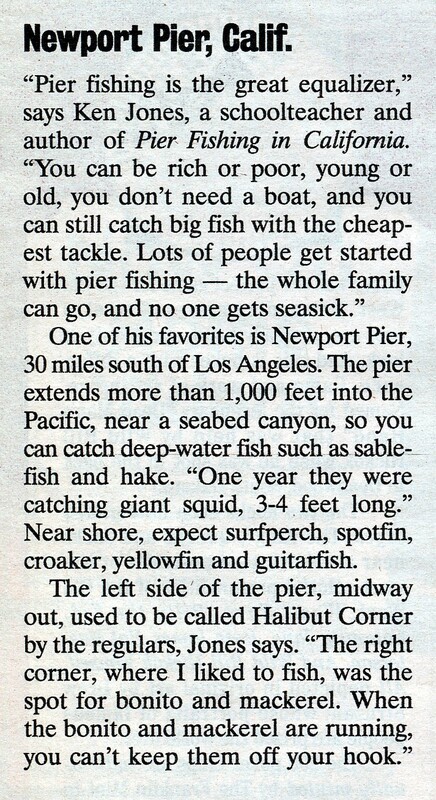 In 1997 pierfishing.com came into existence. 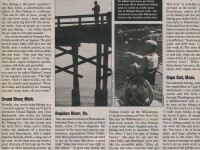 A few months later Boyd posted his first report, a recap of fishing at the Goleta and Gaviota piers. 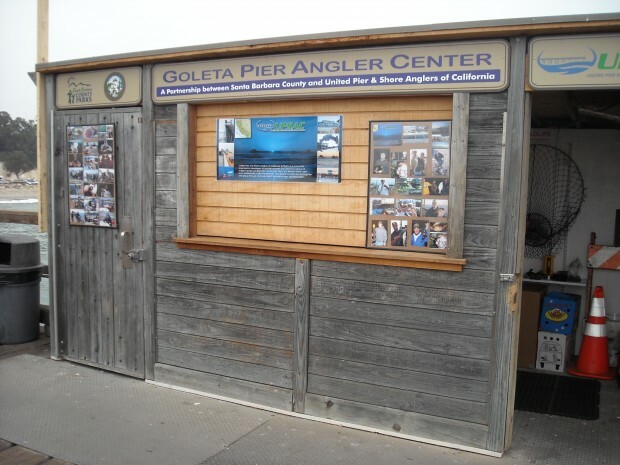 As communication began, a fellowship developed, and an uncommon interest in the Goleta Pier emerged. Boyd, a gentle man, interested in the social welfare of his community, saw the pier and park as a perfect place to test a theory. Could a person, through individual example (and an amazing amount of hard work) make a real difference? Could he impact the behavior of those visiting the pier and park, behavior that in the mid-2000s included a large contingent of homeless alcoholics and druggies who called the park their home and could be abusive and scary to the casual visitor. 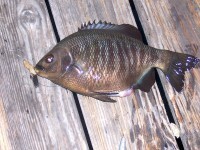 Could he impact the fishermen on the pier? Could he bring his ethical views of angling and his “leave it cleaner upon departure than arrival” philosophy as far as pier cleanliness? Lastly, could he impact the way the County treated the park and pier? Could he convince the County workers that they should take pride in their duties and get a buy in on the importance of the pier? Ultimately he would be successful on the first two questions. His failure to achieve the third led to his removal and yes, both the closing of the Angler Center and the end of the dream. His hard work and achievements are numerous. For years he maintained a website detailing the day-to-day activities at the pier. 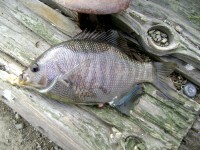 For two years he chronicled the conditions of the pier and recorded the various species that were landed. For two years he spent literally hundreds of hours cleaning the pier on his own, all voluntary, non-paid hours. He set up several statewide meetings of anglers, and was involved in a number of classes and derbies at the pier. He set up the installation of fishing line recycle bins at the pier. 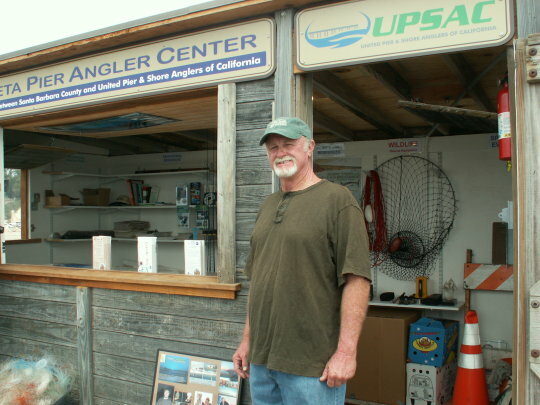 And then, with the establishment of the UPSAC Angler Center at the pier in 2008, he became the official “Pier Host.” He became the eyes and ears of the pier; the man anglers could turn to for advice—including how to properly handle fish and other wildlife at the pier. He became a teacher, advisor, and ultimately a spokesman for the pier. Dozens of kid’s fishing tournament were conducted with his help at the pier. Dozens of injured birds were saved with his help. Untold numbers of anglers changed their views on angling under his gentle tutelage. Visitors and regulars alike gained a new respect for the environment at the pier. And hundreds and hundreds of hours were spent cleaning the pier. 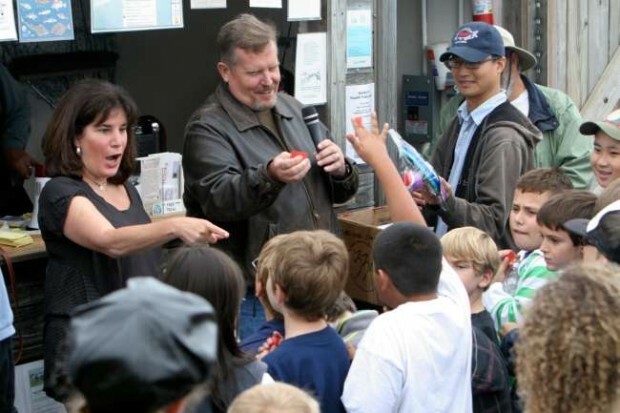 A scene at the 2010 UPSAC/GFA Kids Fishing Derby — Santa Barbara County Supervisor Janet Wolf and Park Assistant Director Erik Alexson picking raffle numbers. 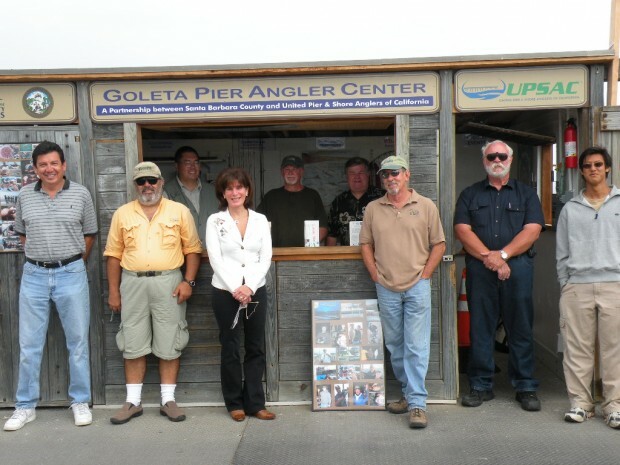 Santa Barbara County and UPSAC officials at the 2008 opening of the Angler Center. A dynamic, synergistic effort seemed to be taking place and everyone seemed to be pleased. But as we all know, you can never please all the people all the time. An exodus of top personnel had left the Park District between 2008 and 2011 and new people were now in charge, people with different ideas and a different agenda. 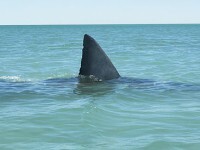 Unfortunately that agenda did not include support for Boyd or the Angler Center. As the time of the 2008 agreement that established his position as Pier Host, Boyd had also agreed to be a Park Host. This allowed him to park his motor home at the park and remain in close proximity to the Angler Center. In exchange, as part of the Park Host Agreement, he was required to spend 20 hours per week cleaning the park. Boyd quickly developed a routine that would begin most mornings at 5AM. Clean the bathrooms, empty trashcans, pick up whatever flotsam and jetsam had been left by late night revelers, and clean the pier (which could be a monumental task in itself). Most days it would take at least three hours and then he would take a break, have a cup of coffee, and take a shower prior to heading out to the Angler Center to begin his duties as Pier Host (where he would typically work another 30-40 hours a week). Out of necessity, Boyd had begun his day early, far before the rangers arrived at the park. Most respected the hard work and early hours but unfortunately those same hours would be used against him. When UPSAC was informed that Boyd had three weeks to leave the park, the charge was made that Boyd was not working the required 20 hours a week as Park Host (and that part of his hours were being spent on work for the Angler Center). Interviews with those in the know, the locals who visited the pier early in the morning themselves, verified his cleaning and the number of hours he worked. 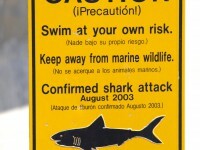 But Park personnel never bothered to interview the locals — and failed to say where they had gotten their information. As talks continued in an attempt to work out a solution agreeable to both parties, one that would allow Boyd to stay at the Park, and the Angler Center to remain open, the reasons for Boyd’s removal evolved. New arguments were given by the Park personnel. The first was that Park Hosts are supposed to have a one-year limit at a park. After one year hosts have to move on to another park and give up their park position. UPSAC asked why this had never been enforced before? A number of people, including Boyd, had exceeded the one-year time limit. 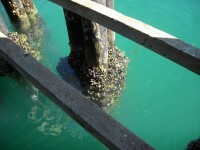 And though UPSAC argued that Boyd’s position was unique—since he was the only Pier Host (at the only park with a pier), and that his unique position justified a close proximity to the pier, the argument fell on deaf ears. The final argument from the Park personnel was that the Park District was now out of money (although Park personnel seem to have a pretty hefty paycheck). The District’s argument was that the Park would need additional volunteer Park Hosts to maintain the park. They, in turn, would need all the available parking spaces. UPSAC argued that there was sufficient room for Boyd AND additional Park Hosts. UPSAC also argued that the Pier Host position should receive equal respect as the Park Host position. Again the arguments fell on deaf ears. Given the variety of reasons given for his removal, the fact that these issues changed over the weeks of discussion, and that Boyd himself was never allowed to be part of the discussion (in fact was never given a face to face meeting until the last day when he was told to turn over his keys), it appears that the park personnel simply wanted him out. Why? The most likely reason was that, at times, he could be a thorn in their side. He asked park personnel to give the pier the attention it deserved, to do more at the park. He asked for additional cleaning supplies, he asked for support from management when there were problems at the park, and he refused to become a spokesman for the County Parks when it decided to push for paid parking and other changes he deemed detrimental to the park. All Boyd wanted was to see people do their job. They perhaps would never have his interest in regards to the pier but at least they should realize that the pier was a key part of the park. This friction was most likely the real reason why he was asked to leave. It’s a problem that can crop up wherever there are moribund agencies that are poorly managed and staffed by poorly trained and motivated employees. It is likely these are the true reasons for his departure and, most likely, the reasons for the end of a dream. Perhaps he simply wanted to do too much. Perhaps there is little room left for those such as Boyd who are willing to sacrifice their personal time and energy to improve a small piece of our society. 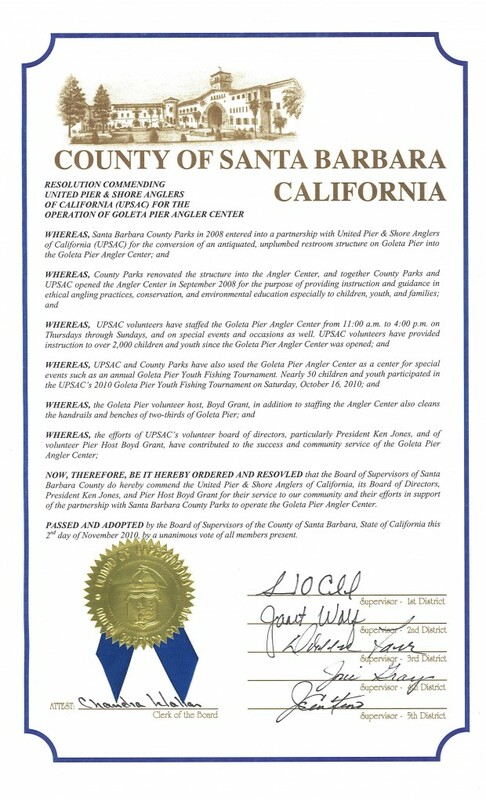 Perhaps it is the end of a dream and, if so, not only will the pier and the park itself suffer but so too the entire people of Santa Barbara County. Tis sad. 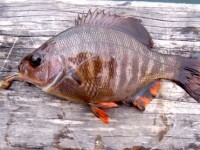 Posted in Daily musings..., Pierfishing, Saltwater Fishing and tagged with Boyd Grant, Goleta Angler Center, goleta pier, Goleta Pier Host, pierfishing, saltwater fishing. RSS 2.0 feed. Thanks for recognizing my brother’s efforts. Don’t cry because it’s over, smile because it happened. 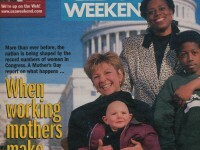 Ken, thanks for a great article. 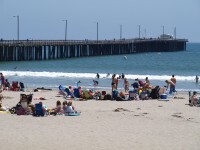 I use to look forward to going to Goleta Pier. There are so many other piers much closer to me. But, I didn’t mind the long drive because I really looked forward to seeing Boyd. Sometimes he was not there and sometimes he was very busy, but I can see his hard work everywhere on that pier. Many times, I heard people on that pier making comments about that. To tell you the truth, I don’t think I ever thanked Boyd for making this Pier unlike no other. It will never be the same without him. Boyd, thank you very much. I walked past the Center not too long ago and wondered what was happening or had happened to it. What a shame. Thanks for the informative write up. Ken, thank you for this article. 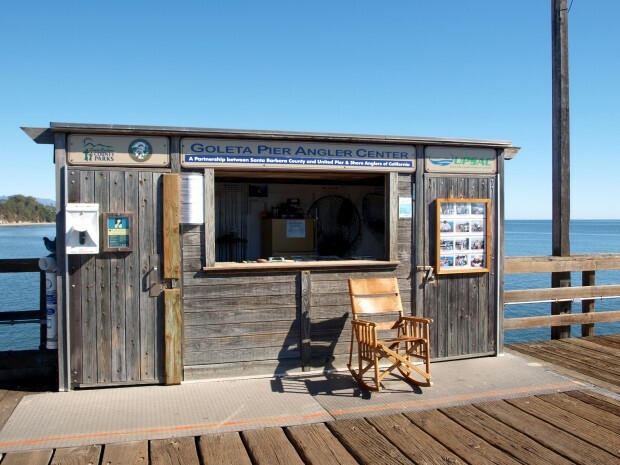 I’ve always enjoyed making a stop at Goleta pier whenever I drove through the 101. And to be honest, I don’t know if I’d like to revisit it anymore with how poorly the County handled this unfortunate situation. 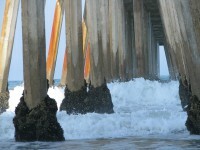 This pier was like no other (well kept and respected), and it was mostly due to Boyd’s efforts. It’s a true shame to see the County did not have the same passion and integrity like our dear brother Boyd. Boyd, I too want to sincerely thank you for your passion and hard work. I hope that another place will appreciate you and welcome your services. Monterey would love to have you =) I wish you the very best my dear brother! Thankyou for the udate of the sad news. Boyd was a welcoming presence on the pier and he will be sorely missed. I knew how much he cared for the pier and the park and it is sad that he won’t be there looking over the pier and the park. I have serious concerns for what will happen to the pier. What a mistake the park managers have made. I wished the best for Boyd and hope he finds something else that he can believe in as much. 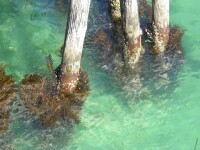 I hope the pier dosen’t deteriorate,if it does. I won’t be able to take my stroll with my dogs there anymore. I had the pleasure of meeting Boyd and it was a positive experience. I recall him telling me he majored in philosophy at UCSB and I thought it fitting that such a setting would complement his education so wonderfully. When I told him some of my history with the pier he seemed genuinely interested. 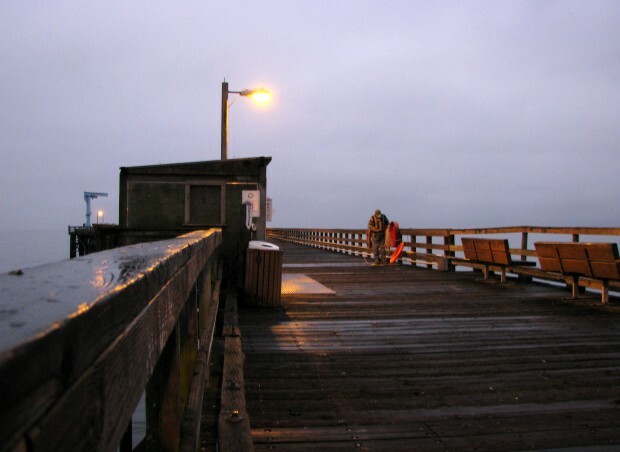 For a random walk on a longer pier he turned it into a special occasion. I wish him the best.